As we arrived in Lima airport with a 10 hour wait till our Arequipa connection, I decided this would be an ideal time to converse with Aisling about the Scottish and Northern Irish girls who had been arrested for drug smuggling at the very same airport. No sooner had the words left my lips that a customs officer, and more accurately his dog, began to show a worrying level of interest in our luggage trolley. The dog could not be torn away from whatever was attracting it to our bags (probably my aromatic Calvins), and as we started to suspect our bags had come into contact with some illegal substance on some hostel floor in Colombia, we both began to mentally prepare for Peruvian prison life. The customs officer quizzed whether we had any food or fruit in any of the bags, to which we answered in the negative. Unperturbed by our lack of explanation,or the fact Aisling was now green, the officer thankfully seemed to have ruled us out as International drug smugglers and much to the canines frustration dragged it away without further interrogation of ourselves or our orifices. 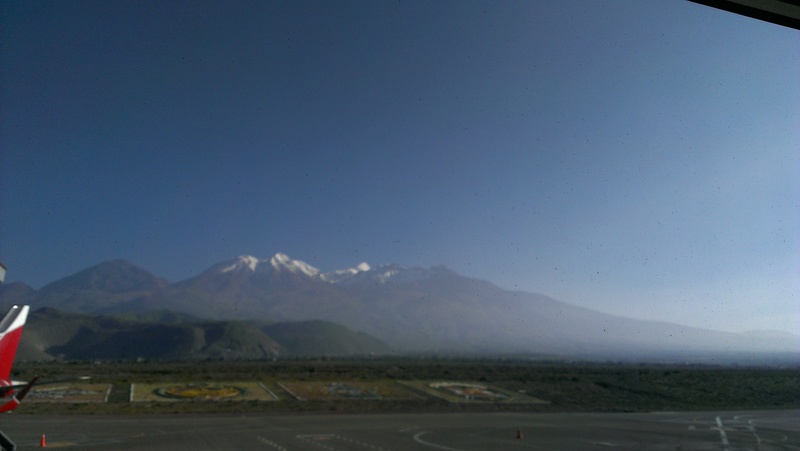 At 8.30am the next day we arrived in the city of Arequipa, heading to the AQP Friendly Hostal. Too early to check in, we dropped our bags off and headed to the main square, which features a number of restaurants overlooking the central plaza and church. After indulging in a fairly mediocre breakfast at one of the restaurants, we were shocked to be told that the 50 soles note that we had paid with was ‘falso’. Being as the guy who had been serving us had been of a questionable standard, simply answering no when we asked for more butter, we presumed he was pulling a fast one. Nonetheless we paid with a different note, which he accepted, and headed back to the hostel. At the hostel we relayed our surprise to the receptionist regarding the accusation, and passed it to her for a second opinion. After brief analysis and crumpling of the note, she confirmed that it was indeed fake. She showed us the three main techniques to check for a genuine note, and confirmed that Peru was now the country with the most accurate looking fake money in South America. We had not been aware of this, and were even more surprised that the money had been given to us at an airport store. Slightly upset to have lost out on the equivalent of nearly 15 GBP, we did the noble thing however and threw the note away/ the receptionist did it before we had decided what our moral stance would be. We were gratefully surprised with what the city had to offer, especially as we had heard nothing about it previously and had only arrived there as a matter of convenience. We took part in (another) free walking tour which is organised by the local university students, and as the centre is relatively small this allowed us to see a lot of the city which is incredibly pleasant on the eye with an interesting mix of Incan and Spanish history. The central Plaza is the perfect backdrop for postcards, if only I wasn’t too self absorbed in my blog to send some postcards home then my family would see what I mean…. As our stint in Arequipa was to be brief, we didn’t have time to participate in the highly popular and much recommended Colca Canyon treks, although second-hand testimonials would suggest it is well worth a visit. The highlight of our time was an evening meal at Restaurant on The Top where we were able to watch the sunset from possibly the best vantage point in the city. This was my first introduction to ‘menu del dia’ which is commonplace in Peru and Bolivia, usually providing 3 courses for a ridiculously low price and usually of a fairly decent standard or better – particularly refreshing in this instance considering the location. 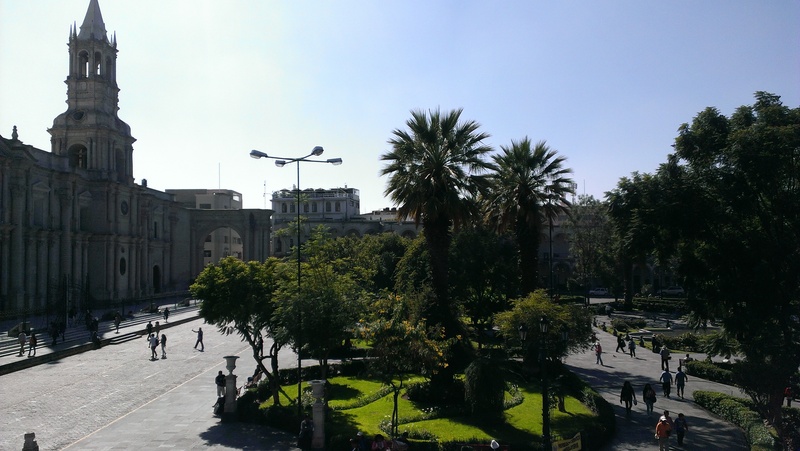 Having spent less time than we would have liked exploring Arequipa, and with deadlines to stick to, we headed to the bus station to get our ticket for an immediate departure to Puno. We had been disappointed that the bus recommended by the hostel had sold out, but our disappointment soon faded when the price offered at the station (15 soles) was a quarter of the $30 we had been prepared to pay. Take heed of our lucky break if following the same route. The bus was a local bus rather than the more expensive tourist buses, however it was a daytime drive so any concerns of a tired & low paid driver falling asleep were alleviated as a result. The journey was actually fine and no worse than other substantially more expensive trips we had taken previously, and I only feared death 5 separate times on the mountainous route we were required to take. We didn’t have anywhere booked in advance in Puno but trusted the word of my 5 year old Lonely Planet and advised the motor taxi to take us to Hotel Monterrey. As he only dropped us ‘near’ our requested destination we spent the next 20 minutes doubting its existence and asking local people the whereabouts of it. After struggling with our heavy bags and the highest altitude we had faced to date, we stumbled across the small entrance to the hotel on the main street. It was very much a hotel of the Metropol standard in Ipiales but again was perfect for our one night layover. 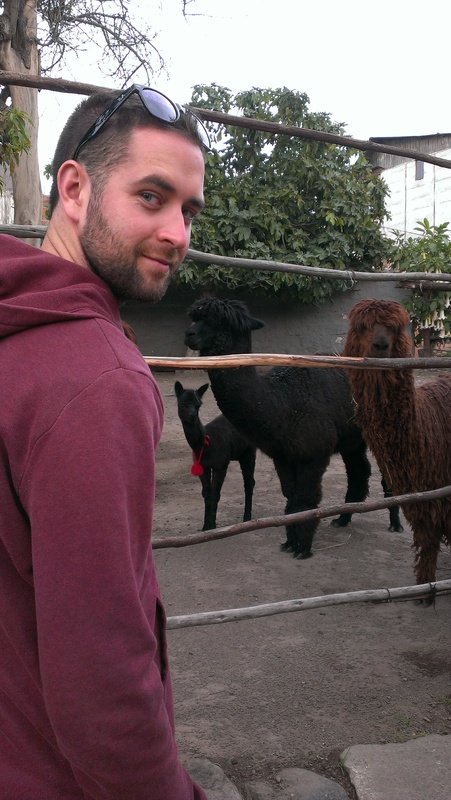 Having consumed only a few beers and pisco sours I awoke the next day feeling rough and not in a hungover sense. I suspect this was my first flirtation with altitude sickness, something I thought Aisling had been making up. Lacking time to lie in bed and feel sorry for myself, we set off to the bus station early in order to catch a bus to La Paz. Handing over 30 soles each, we went with Titicaca buses and by 8am we were well on our way to the next country on our trip. After a couple of hours on the road we reached the border crossing from Peru to Bolivia, which appeared to be distinctly less official looking than its Colombian/Ecuadorian counterpart. We were informed we needed a few Bolivianos to pay a small fee at Copacabana, so were required to exchange soles at the border for the worlds worst exchange rate. Aside from encountering an overly eager Korean woman who insisted on pushing in front of me as if Bolivia was a nightclub with a maximum capacity, the border crossing was fairly straightforward. I did however, feel like I left a small part of myself on that border. I don’t mean that in a spiritual sense, I desperately needed to use the less than attractive Bano’s with less than functioning flush systems. I was afforded little choice but to abandon my handiwork, leaving it undecided for the rest of its days whether it was of Peruvian or Bolivian ethnicity. 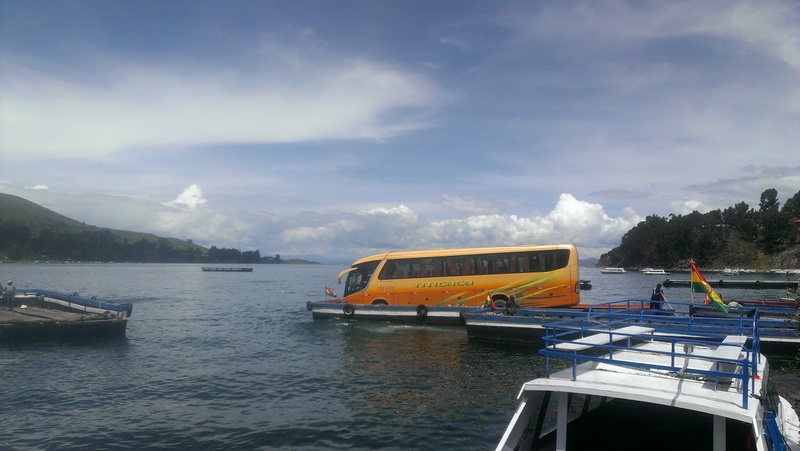 A short while after Copacabana we were required to cross Lake Titicaca – the worlds highest navigable lake by boat in order to reach the other side without hours upon hours of road travel. This involved the interesting spectacle of seeing our coach being ferried along the water by a barge that looked in great difficulty to support it. Once in La Paz, with the renowned party hostel Wild Rover fully booked and not fancying the equally well known Loki Hostel, we checked into a double room at Adventure Brew Hostel, handily positioned just a stones throw away from the main bus station. The free beer included in our stay was as debaucherous as we had planned to get with the nerves building for our volunteering adventure. Unfortunately, the next day was the Six Nations meeting between myself and Aisling’s two great… Nations. 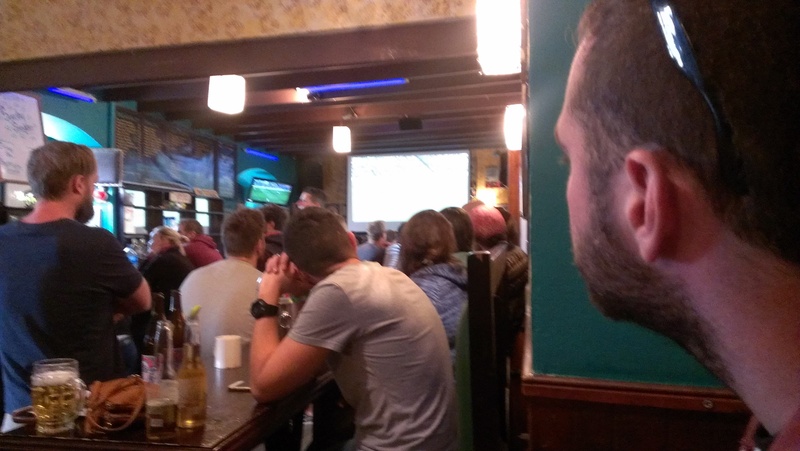 No sooner had we put our bags on the floor to speak in broken Spanish to the receptionist than Aisling had buddied up with an Irish couple, who invited us to the aforementioned Wild Rover to watch the game the following day. We were in position ready for the 12pm kick off, fully intending to only have a few and make it an early night before our big day. Everyone reading this now knows the result of the rugby game/tournament so I won’t bother talking about it…. (Ireland won and I only like football anyway!). The group we were sitting with gradually got bigger and bigger and after arguing emphatically that Alan Shearer was better than Wayne Rooney ever will be with a Man Utd fan, and bringing everyone close to tears with a rendition of Paolo Nutini’s Candy, we had drank about 10 more drinks than we had pencilled in and it was around 10pm. Despite the good atmosphere in the hostel bar, we were still capable enough to know to call it a night at this point, and sauntered back to our hostel. 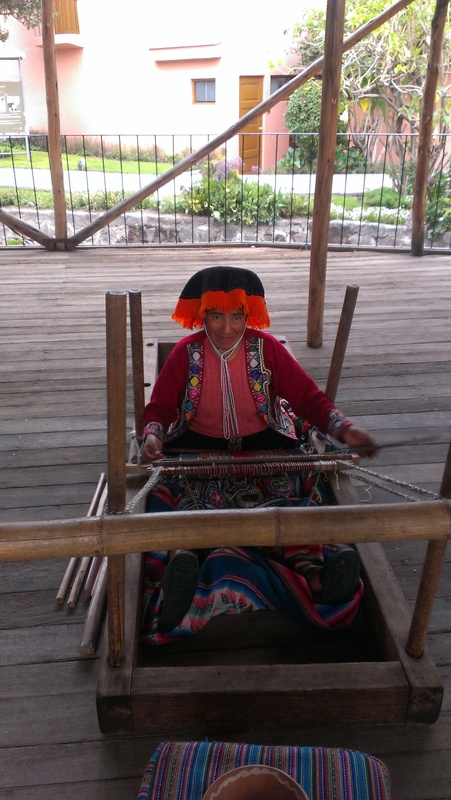 With around 7 hours till we had to make our way to the unknown entity of Jupapina for volunteering, marginally worse for wear and at an altitude that induces thrice-worse hangovers, we went to sleep slightly more ill prepared than we had hoped to be. Accommodation verdict – Friendly AQP Hostel – $11 per night per person for a twin room. As the name suggests the staff were a fairly affable bunch and they even got the room ready for us at an extremely reasonable 10.30 am. The banana pancakes for breakfast were top notch, and although the room we were assigned smelled a little bit like cats it was still good value for money comparably. Added bonus of a ping pong table, at which I am world class. Hotel Monterrey – 70 soles for double room with en-suite. Basic and not somewhere to meet people but serves its purpose for a layover. Well positioned on the main street but not well advertised with small entrance. Price seemed ok at the time but likely to get better if shopping around. Adventure Brew Hostel – $13 each per night for double room with en-suite. Includes a free breakfast of ok pancakes, and a beer at the bar of the sister hostel just up the street. Room was comfortable and roughly the same price as its competitors. We were in the B & B branch of the hostel. Great location. 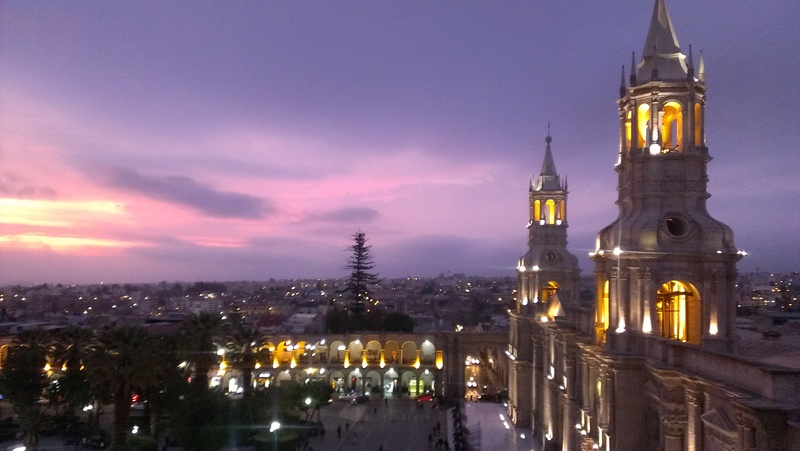 Arequipa verdict – A town of which the inhabitants believe is the rightful capital of Peru. It is a great place to visit and simply take in the sights, as well as offering access to Cusco or Bolivia easily enough. The place to stay prior to any Colca Canyon trek. The main plaza is as attractive as will be seen in any city, and there are plenty of restaurants and bars of high quality and decently priced.